We’re pleased to announce that our new album BUILD A TOWER will be released on the Friday 4th May 2018 through our new label Modern Sky. The album will be available in good record shops and online retailers on Coloured Vinyl LP and as a Digipack CD. BUT, Limited Edition formats / Signed prints and discounted bundle options will be available direct from our website (details of formats / exclusives / bundles below) and delivered in time for release date (Royal Mail permitting. all orders will be sent in good time, with the intention of turning up on 4th May). There's a lot to get through here. so, if you have any questions about what follows below, please email mgmt@30centurymanagement.com who will be happy to help. anyone preordering the album from our store also receives free "instant grat" downloads of Lunatic and Through The Shadows. 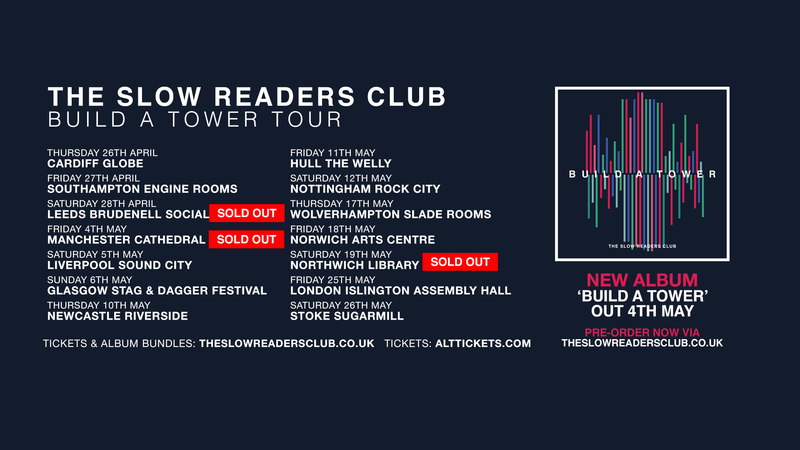 We’re also happy to announce the BUILD A TOWER - UK TOUR - SPRING 2018. Dates run throughout April / May. General sale is Friday 2nd March. BUT, we have a 24 hour exclusive window (from 10am Thursday 1st) though our website on tickets for all the. If tickets are bought with any Build A Tower album bundle, the bundle will be discounted further! NB; tickets are restricted to 4 (four) per customer, per show. As well as all that, here’s a video from a new track taken from Build A Tower. Through The Shadows. The video was made by our friends at Croftwork using footage from the Through The Shadows Tour 2017. 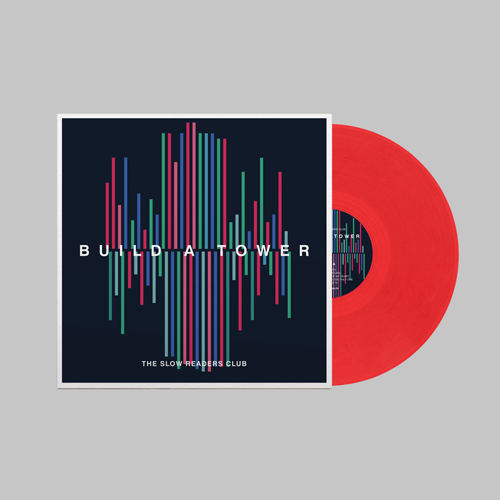 Build A Tower - Standard Vinyl LP w/ signed 12x12 insert : Cherry Red coloured vinyl. This is the pressing you’ll get in shops / at shows and from the likes of Amazon, but those places won’t have it with the signed print or allow you the opportunity to pick up some of the other items below at the same time, so we’ve also made it available here. 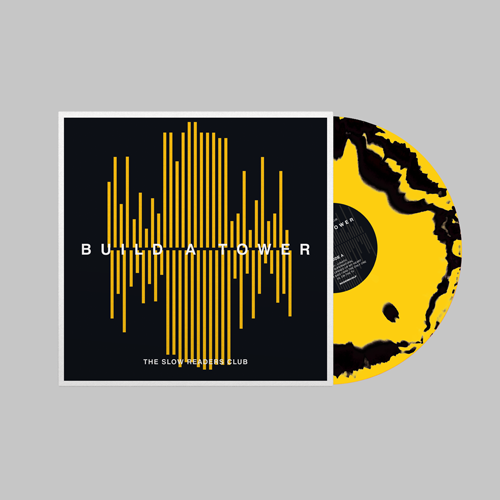 Build A Tower - Webstore Exclusive Vinyl LP w/ signed 12x12 insert : Marigold & Black Swirl coloured vinyl. Housed in a different colour sleeve and different coloured vinyl to the ‘standard’ edition. Limited Edition of 1000 copies, available only through our webstore and only until its gone and then never again. Build A Tower - CD w/ signed 5x5 insert : The album on CD. simple as that. Digipack sleeve with booklet. Build A Tower - Cassette w/ Download Code : Yes, a cassette tape. For those who can still play them, or for those who just want their downloads to come in a fancy box. Exclusive to us. Won’t see these in shops. 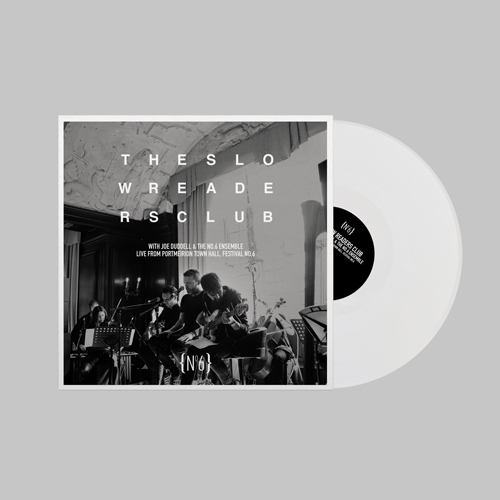 Live At Festival No.6 - Webstore Exclusive Vinyl LP : Recorded with Joe Duddell and the Festival No.6 Ensemble back in Summer 2017. 6 tracks taken from Cavalcade and the debut album, stripped back and with strings. Limited Edition of 1000 copies worldwide on White Vinyl and available only from our site as part of the Build A Tower bundles. Live At Festival No.6 - Webstore Exclusive CD : Recorded with Joe Duddell and the Festival No.6 Ensemble back in Summer 2017. CD version, same as the vinyl version but on CD. Limited Edition available only from us and as part of the Build A Tower bundles. 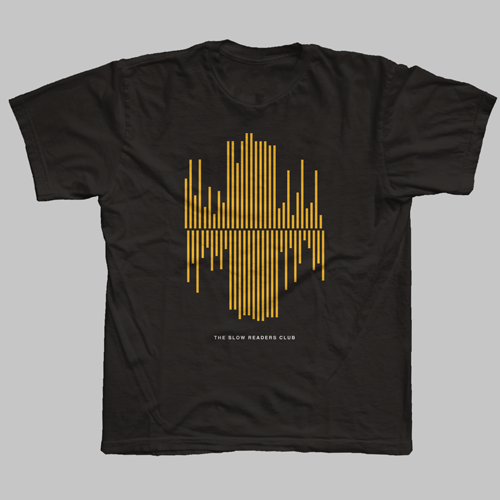 Build A Tower - Webstore Exclusive T-Shirt : Design based on the Limited Edition album sleeve. Only available as part of the preorder bundles and never to be reprinted. Available in kids / womens fits and standard unisex up to XXL. Build A Tower - Webstore Exclusive Enamel Pin-Badge : Gold and black enamel pin badge. Limited Edition available only from us and as part of the Build A Tower bundles.